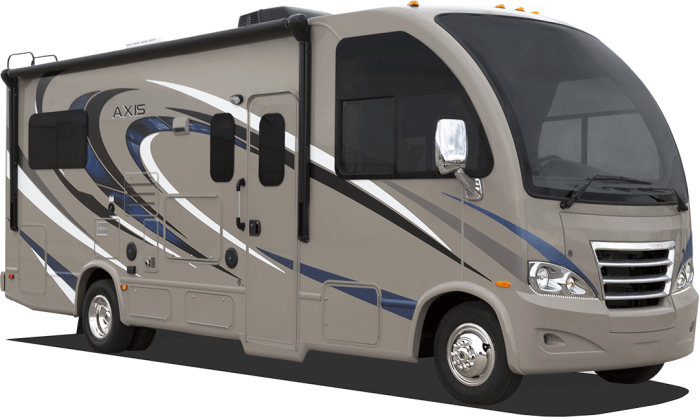 Thor’s newest motorhome version is what they are calling the RUV. This is a new breed of vehicle: the best of an SUV and RV all in one. The RUV is about 6 feet longer than the average SUV! so it is operable by most any driver. Thor really found a niche need in the RV’ing industry with this line. Quite impressive. 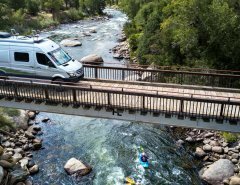 Enjoy more of the recreational utility features of an SUV with everything you also love about an RV. So now when you have that trip for a weekend of soccer, baseball or cheerleading competitions, or a sports team that you follow, you have the perfect transportation. Travel distances in comfort and convenience knowing you don’t have to struggle with the overnight arrangements of hotels or rooming with other team families just to reduce cost and find suitable and available rooms. The RUV will pay for itself reducing all the hotel and restaurant costs you will no longer have to pay. 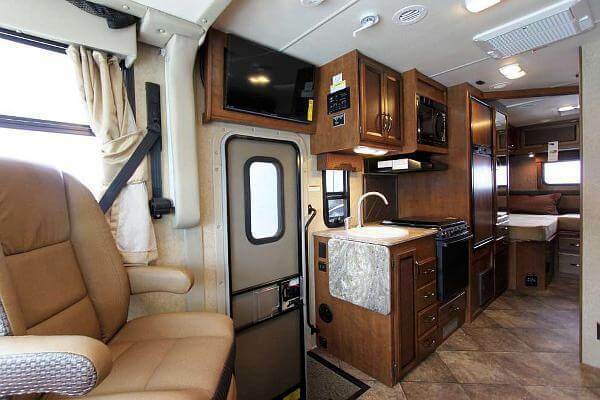 The Axis is Thor’s answer to every person’s dilemma with kids or not, on how to travel to locations on a whim or schedule, and have all the accommodations you need as you travel without the size of an RV or what’s lacking in your SUV. 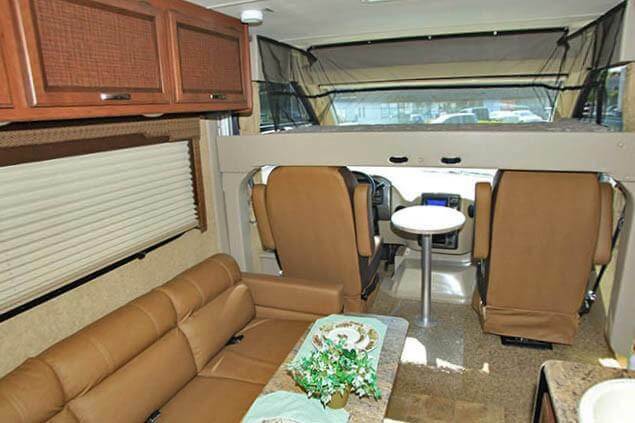 Four RUV models allow for individual needs for sleeping, travel and entertainment. Super functional and well appointed with all models utilizing a slide out for either a larger bedroom or living room area. The Axis has a panoramic windshield for optimal vision while driving and eliminating blind spots with side mirror cameras. All models have the drop down overhead sleeping bunk. The dimensions make this RUV easy to maneuver, parallel park, and fit in most spaces. Perfect for tailgating! Exterior TV and patio for more fun outside as you park and wait for the game to begin. Storage and comfort are key with the Axis and storage is abundant for both interior and exterior. Latest technology with computer workstations and desk space is thoughtfully inherent to this innovative RUV. All models also have a dry bath with separate shower for that residential feel. 24.1 is Thor’s Axis basic model. 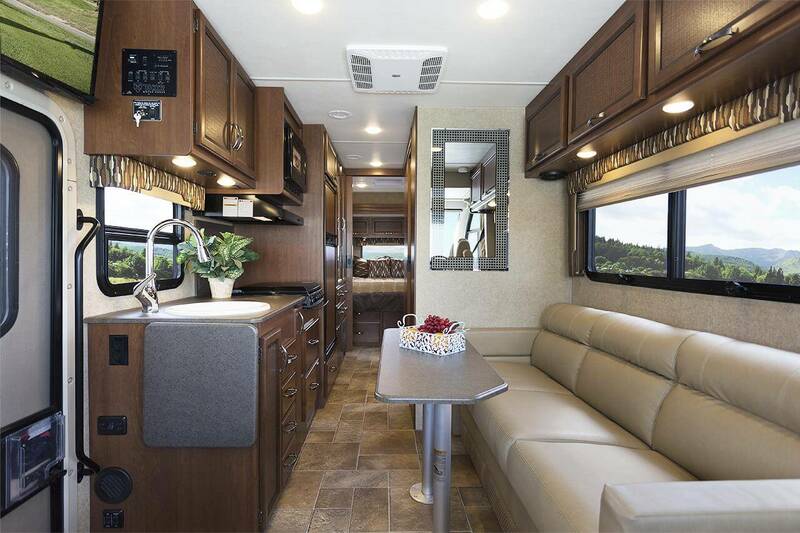 Includes full bathroom, sleeps 4, full galley kitchen, sofa and table table for eating and swivel captain chairs, closet, drop down overhead bunk, two TV’s, patio awning and lights, outside shower, and so much more. Really good use of space and function. 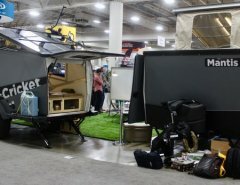 Thor clearly spent time realizing what families need and what a couple could use from shorter travel without all the unneeded features and perhaps “cumbersome” size of a typical RV when the purpose is much more individualized. 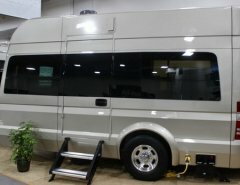 Impressive and a really good looking RV to boot. 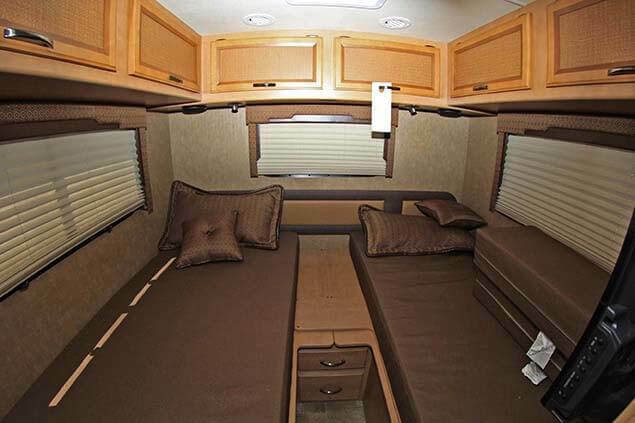 Rear of Axis 24.1RUV: Queen size bed conversion. 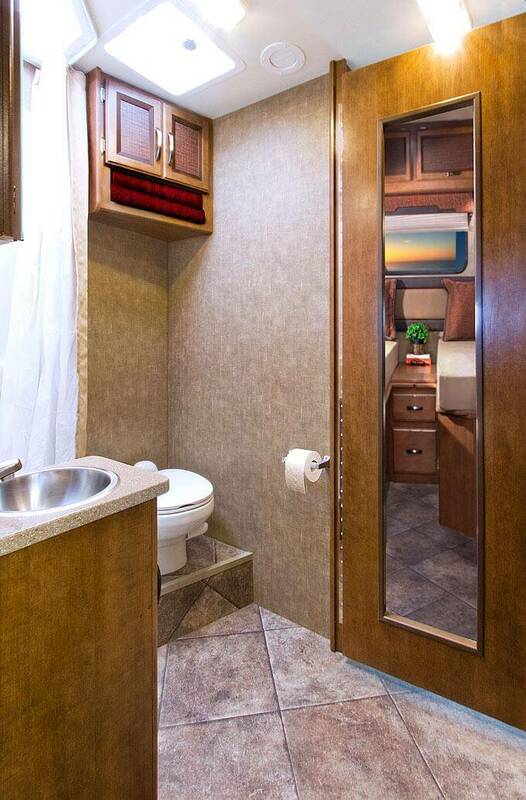 Lots of storage, window, privacy, lighting and optional TV.